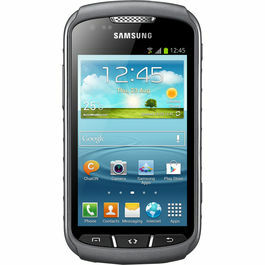 Samsung Galaxy; a noted series from Samsung, that has captivated the whole bunch of audience. The J series, is all about exceeding the stereotypical myth about 3G connection. It emphasis on the network that goes beyond, the 3G connectivity that's not well supported with the low-profile smartphones. Samsung Galaxy J2, not just supports 3G connectivity, but also the 4G connectivity. It calls itself, as 4G smartphone; that's value the connectivity utmost. The phone was launched during, September 2015. Stylish look, and body that's airy and effortless to carry along. Yes, it's the Samsung Galaxy J2; we're talking about. The phone is as slim as 8.4 mm; making it accessible enough to hold on the hands. The design is also framed in the most smart manner, to make it look rich and posh. Quite attractive, to catch several eyeballs while walking down the street. The phone flaunts, it's crystal clear picture – the perk of housing Super AMOLED display. To make it more Indian, the phone is loaded with display themes that are purely designed – Indian! You might load you smartphone with best of data plans, without a healthy and string processor; all your money and efforts would be in vein. 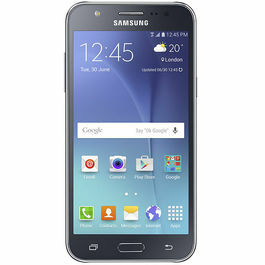 Samsung Galaxy J2, is here to break this limitation, and is loaded with a powerful 1.3 GHz Quad-Core Processor. The RAM size of 1 GB, is for the swift and smooth multi-tasking. Operating System of Android, with the version of 5.1; works effectively on the Samsung Galaxy J2. Connectivity, is indeed the most well-versed feature of Samsung Galaxy J2. The high-end 4G connectivity is enhanced with the phone's processor, battery life and visual quality. The optimum experience of 4G connectivity, is the perk of Samsung Galaxy J2. This is a dual SIM phone, with the 3G and 4G connectivity on one SIM. 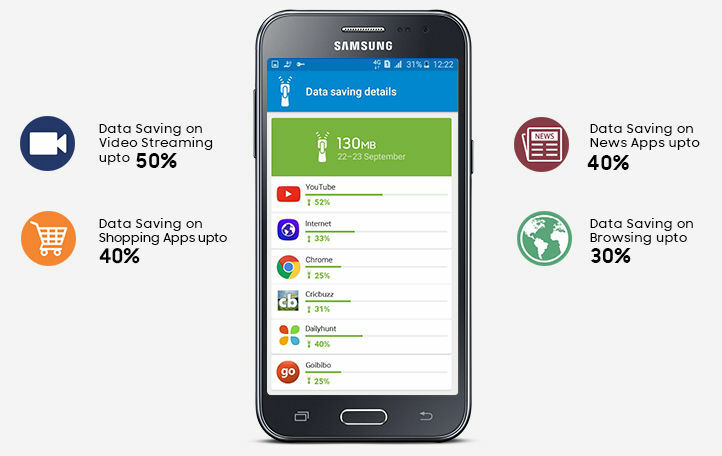 Samsung Galaxy J2 comprises of Ultra Data Saving Mode, that saves your 4G data from being unnecessarily used on the background and unused apps! Photos are the pathway to revive old times. Phone camera, brings more convenience to dive into old times. Samsung Galaxy J2, clicks pictures that wouldn't just be of quality memory; but also the visual quality. The phone houses a rear camera of 5 MPs, along with a flash light. While the selfie-clicking front camera is that of 2 MPs. The fringe benefit of clicking pictures on Samsung Galaxy J2, is that one can shoot and click pictures even in low light; without compromising on the picture quality. While your other friends would hold onto limited songs playlist, on their phone. 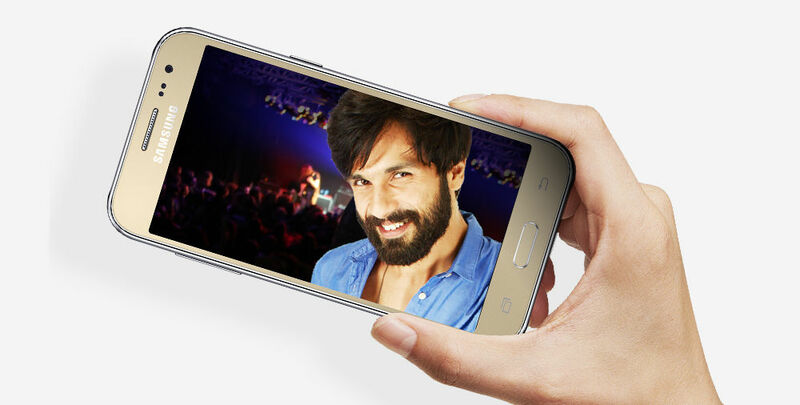 Your Samsung Galaxy J2, would liberalize you to juggle between millions of songs! Cause, here you're backed with an exclusive music service, in the name of MixRadio. This one is specially featured for the J Series of Samsung. With it, one can make his own playlist from 30 million tracks and also grove on 8 hours long offline music. Moreover, the games and videos would be a life-time experience, with the high definition quality. Samsung Galaxy J2 is loaded with 8 GB internal storage; which is furthermore expandable up to 128 GB. Freedom to store data and files, is something Samsung Galaxy J2 strongly believes in. 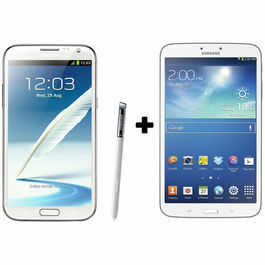 Coming down to the highly-promoted battery aspect, the phone is loaded with a powerful battery life of 2000 mAh. 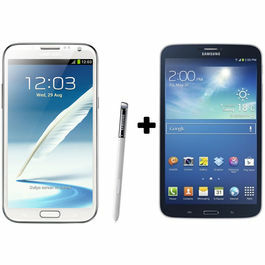 This gives an assurance of surfing and scrolling through the phone, without worrying about rapid battery draining! Apple has again made a bang with the launch of Apple iPhone 7 and Apple iPhone 7 Plus! Yes, the features like water resistant and dual camera has already left the smartphone world wide-eyed! You need to buy one to experience it yourself! 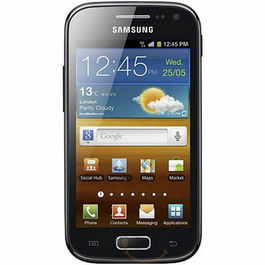 Samsung Galaxy; a noted series from Samsung, that has captivated the whole bunch of audience. The J series, is all about exceeding the stereotypical myth about 3G connection. It emphasis on the network that goes beyond, the 3G connectivity that's not well supported with the low-profile smartphones. Samsung Galaxy J2, not just supports 3G connectivity, but also the 4G connectivity. 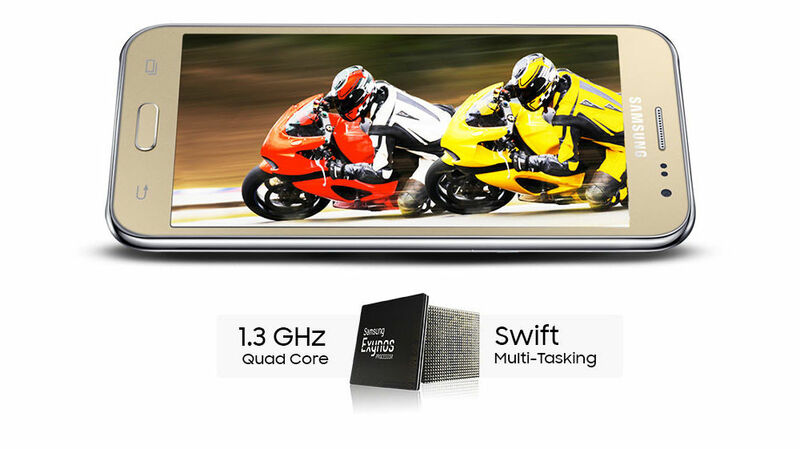 It calls itself, as 4G smartphone; that's value the connectivity utmost. The phone was launched during, September 2015.Design & Display Stylish look, and body that's airy and effortless to carry along. Yes, it's the Samsung Galaxy J2; we're talking about. The phone is as slim as 8.4 mm; making it accessible enough to hold on the hands. The design is also framed in the most smart manner, to make it look rich and posh. Quite attractive, to catch several eyeballs while walking down the street. The phone flaunts, it's crystal clear picture – the perk of housing Super AMOLED display. To make it more Indian, the phone is loaded with display themes that are purely designed – Indian!Processor & OS You might load you smartphone with best of data plans, without a healthy and string processor; all your money and efforts would be in vein. 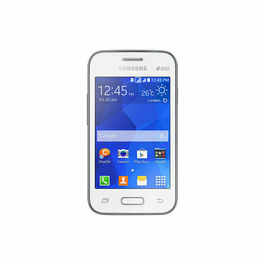 Samsung Galaxy J2, is here to break this limitation, and is loaded with a powerful 1.3 GHz Quad-Core Processor. The RAM size of 1 GB, is for the swift and smooth multi-tasking. 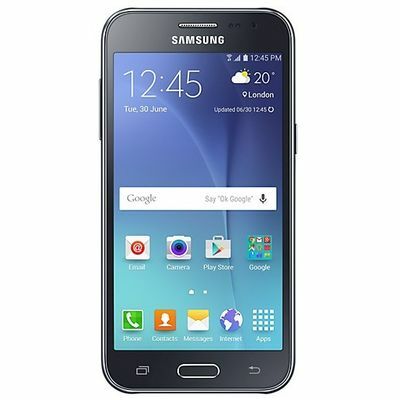 Operating System of Android, with the version of 5.1; works effectively on the Samsung Galaxy J2.Connectivity Connectivity, is indeed the most well-versed feature of Samsung Galaxy J2. The high-end 4G connectivity is enhanced with the phone's processor, battery life and visual quality. The optimum experience of 4G connectivity, is the perk of Samsung Galaxy J2. This is a dual SIM phone, with the 3G and 4G connectivity on one SIM. Samsung Galaxy J2 comprises of Ultra Data Saving Mode, that saves your 4G data from being unnecessarily used on the background and unused apps!Camera Photos are the pathway to revive old times. Phone camera, brings more convenience to dive into old times. Samsung Galaxy J2, clicks pictures that wouldn't just be of quality memory; but also the visual quality. The phone houses a rear camera of 5 MPs, along with a flash light. While the selfie-clicking front camera is that of 2 MPs. The fringe benefit of clicking pictures on Samsung Galaxy J2, is that one can shoot and click pictures even in low light; without compromising on the picture quality.Multimedia While your other friends would hold onto limited songs playlist, on their phone. Your Samsung Galaxy J2, would liberalize you to juggle between millions of songs! Cause, here you're backed with an exclusive music service, in the name of MixRadio. This one is specially featured for the J Series of Samsung. With it, one can make his own playlist from 30 million tracks and also grove on 8 hours long offline music. 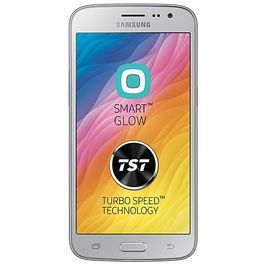 Moreover, the games and videos would be a life-time experience, with the high definition quality.Memory & BatterySamsung Galaxy J2 is loaded with 8 GB internal storage; which is furthermore expandable up to 128 GB. Freedom to store data and files, is something Samsung Galaxy J2 strongly believes in. 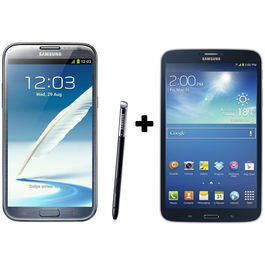 Coming down to the highly-promoted battery aspect, the phone is loaded with a powerful battery life of 2000 mAh. This gives an assurance of surfing and scrolling through the phone, without worrying about rapid battery draining!Apple has again made a bang with the launch of Apple iPhone 7 and Apple iPhone 7 Plus! Yes, the features like water resistant and dual camera has already left the smartphone world wide-eyed! You need to buy one to experience it yourself!